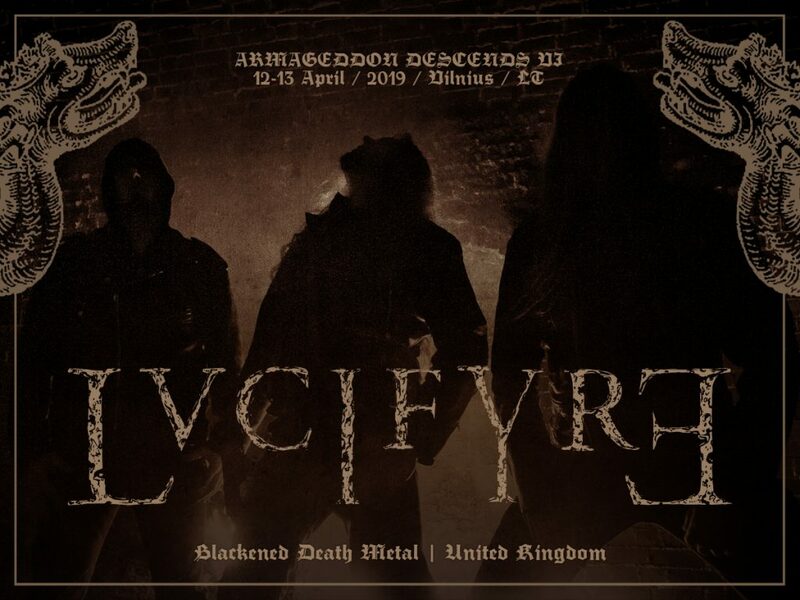 Even one hears clear structures, synthesis and harmony in the songs of LVCIFYRE, the band streams towards creating a wall of sound immersed in total darkness. Destructive energy and an atmospheric, but together sinister sound reflecting absolute chaos – one can definitely smell a sharp stench of death in this creation. The band is equally strong on albums, as well as live shows – mysterious and fearful, creating a spectacle of grotesque atmosphere. Each artistic step taken by LVCIFYRE requires a deeper look and profound understanding.